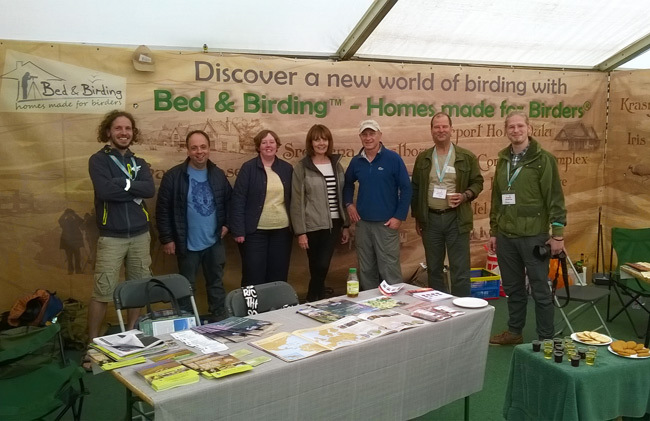 Our third year at the British Bird Fair was the most successful ever. The oldest and largest Bird Fair anywhere (it has over 22,000 visitors) was held from 19 to 21 August. We distributed over 500 copies of our new Accommodation Guide, which featured our 37 partner lodges around the world. 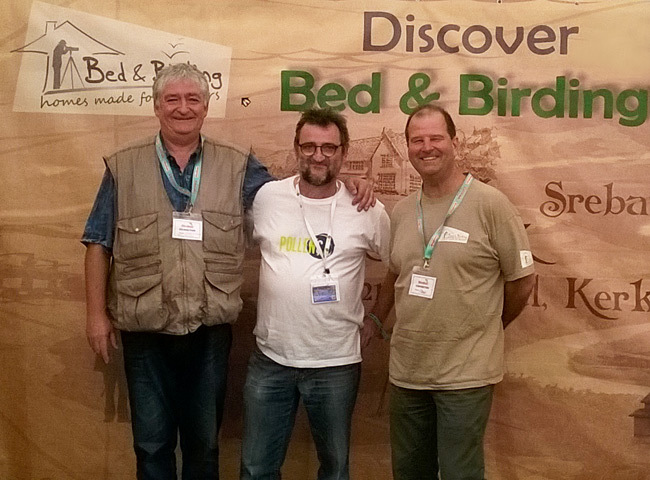 We were delighted to welcome many of these partners on our stand, and were kindly assisted by Boris Belchev and Arminas Naujokas, bird guides from Bulgaria and Lithuania. 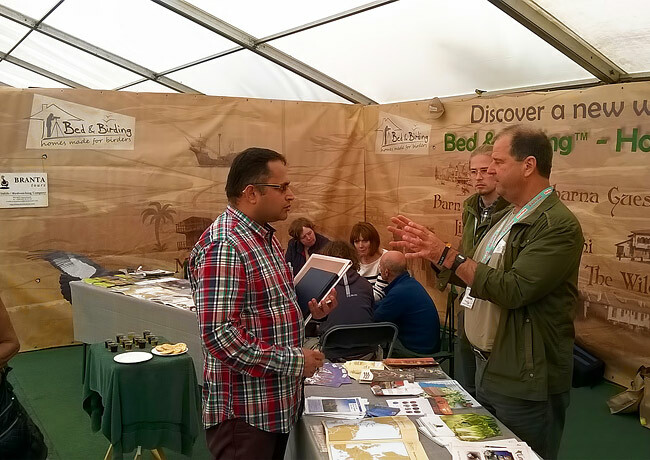 There was also great interest in Bed and Birding by potential new partners of the network, from Africa to Canada, and from Brazil to Australia. We also received much useful feedback and new ideas for improving the network which we are now working to implement. 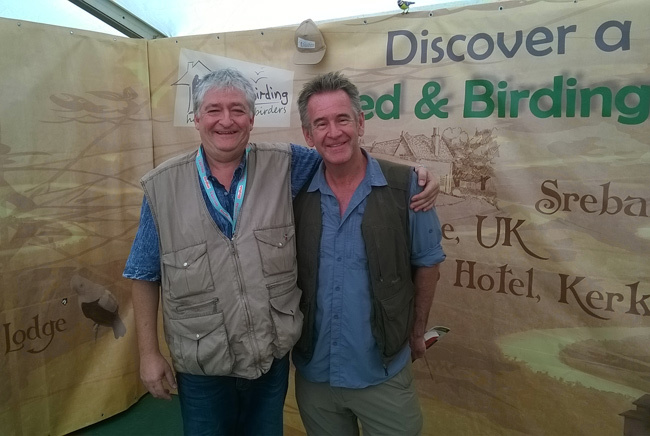 Bed & Birding founder, Pavel Simeonov, with Nigel Marven visiting our stand. Bed & Birding business director, Paul Goriup, discussing potential partnerships in India.